It is recommended to screen out all fine and coarse particles prior to packing as polenta should have a fairly equal particle size distribution. The fine flour screened off may be used as a thickening agent (corn flour) in preparing soups, stews and other gourmet cooking. Organic maize products can be milled with this equipment. 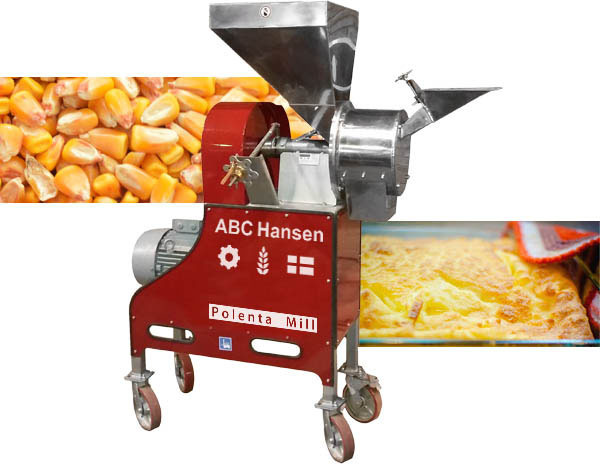 ABC Hansen specializes in manufacturing industrial and commercial Polenta mills. Each Polenta mill is specially designed to handle Polenta in order to give you the best product.